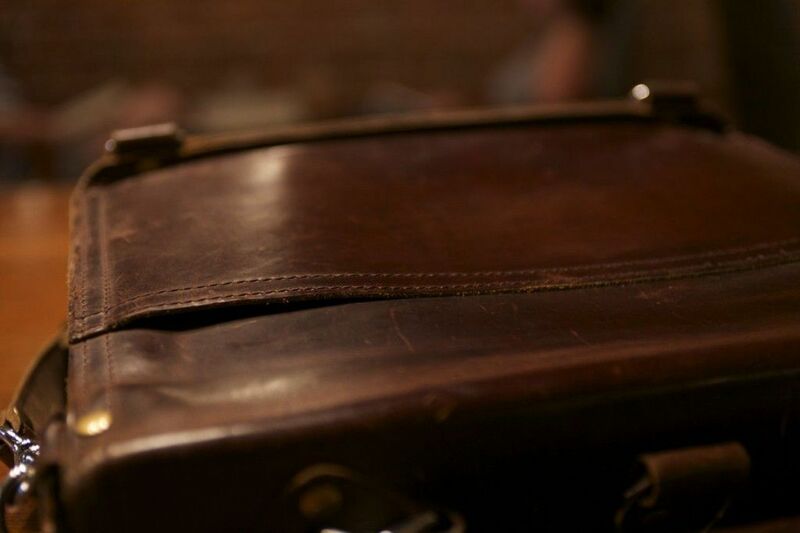 Here are some photos of this Marlondo Leather Thin Briefcase that has been in action for almost a year now. It’s beautiful. 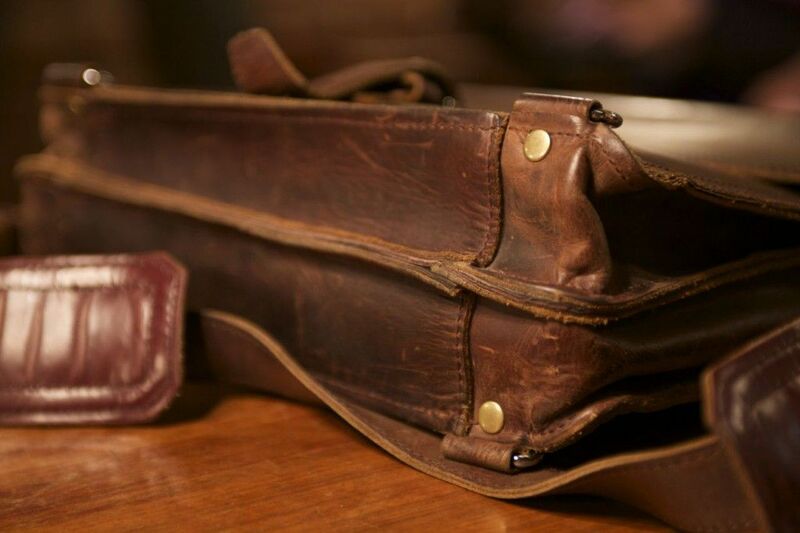 The back is smooth and shiney where it has rubbed against clothing and the front is rugged and smooth with use. No signs of any weakness or failures yet and I don’t suspect there will be. 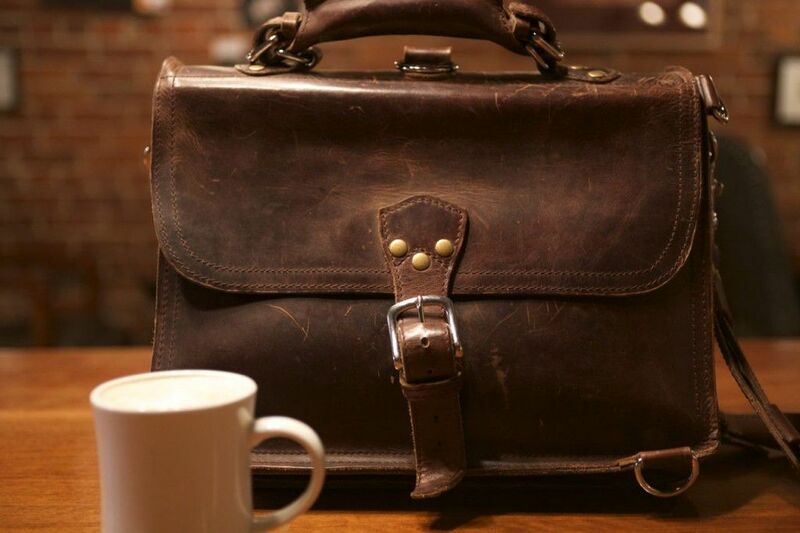 Interestingly, as I was shooting these photos in the coffee shop a gentleman walked by with the oldest floppiest Saddleback Leather Classic Briefcase as well. There are two photos of that at the bottom. 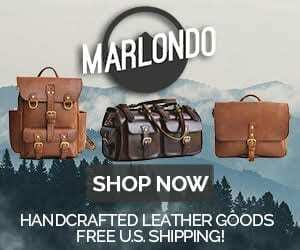 7 Comments on "Marlondo Leather Thin Briefcase Patina Followup"